By Nomaan Merchant and Sonia Perez D.
As the U.S. government said it had reunited every immigrant family it could, Josefina Ortiz Corrales remained in an immigration detention center and her adopted son in the care of her elder daughter. Hundreds of families remain separated a day after Thursday's court-ordered deadline, with no reunification in sight. Lawyers and advocates sharply criticized the U.S. government for creating a bureaucratic and legal snarl that's made it difficult to reunify families and created a scenario where some may never see their children again. "There is no question that there may be families that are permanently separated as a result of this policy," said Michelle Brané, director of migrant rights at the Women's Refugee Commission. The government had until the end of day Thursday to reunify more than 2,500 families separated at the U.S.-Mexico under President Donald Trump's zero-tolerance immigration policy that stoked a global outrage. The government said it had reunited more than 1,800 children over the age of 5 with parents or placed them with sponsors who are often relatives. "I think it's going to be really hard detective work," said Lee Gelernt, an American Civil Liberties Union attorney. The government says the mothers and fathers of 120 children "waived reunification" and dozens more weren't eligible to get their children back because they had criminal records or weren't the biological parent. 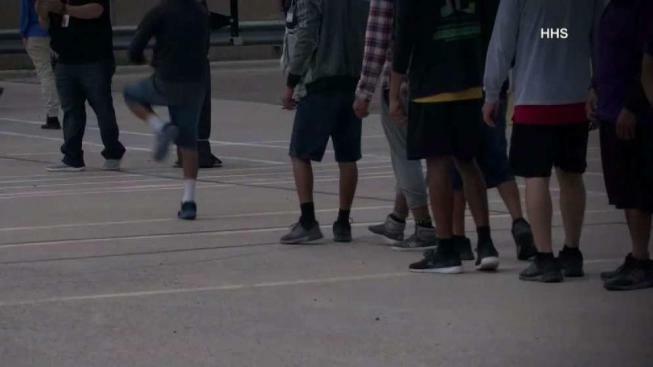 "And once their children are here, they are generally not going to give up the opportunity for their children to remain in the country," said Matthew Albence, the executive director of ICE's enforcement and removal operations. Many parents say that's not true. Several have told The Associated Press and immigration lawyers that they were told in detention to sign paperwork that they didn't fully understand. Gutierrez, 26, says she crossed the Rio Grande about two months ago with her 7-year-old daughter, Antonia. Under the terms of the Trump administration's zero-tolerance policy, she was subject to arrest and prosecution for entering the country without permission. "If not, you will spend months here," she recalled agents telling her. "They said, 'It's not us who want to do this to you. It's the president who is ordering this.'" 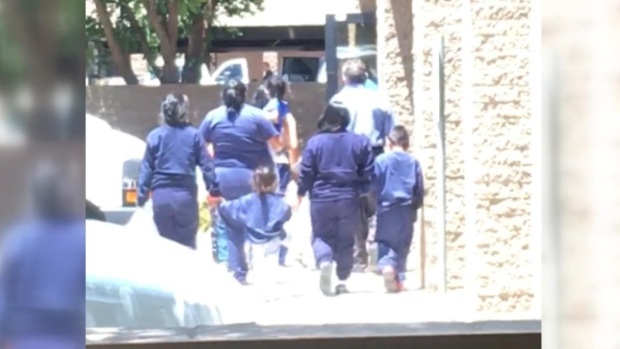 Ramey is representing two mothers held at a Texas detention center whose children are with sponsors, including Corrales, who entered the U.S. from Honduras in December with her 4-year-old son and sought asylum. An immigration judge ordered Ortiz's removal from the country in 2004. Ortiz says she went back on her own and only returned to seek asylum because her partner attacked her and police did not try to protect her. "I ask for immigration to forgive me," she said. "I ask that they let me see my family, my son, because he is suffering very much. We have never been apart." Associated Press writers Gisela Salomon and Colleen Long contributed to this story.